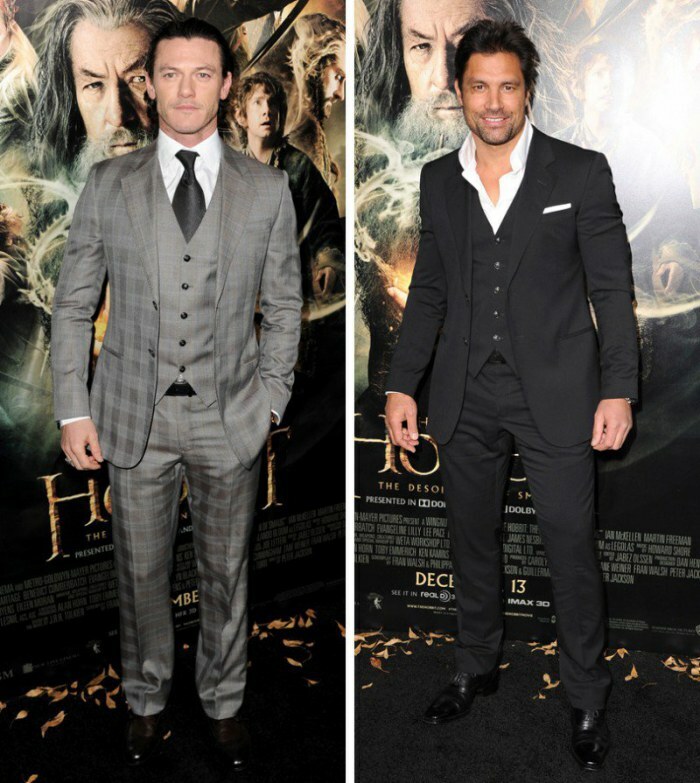 Last night, December 2nd, actors Luke Evans and Manu Bennett wore Giorgio Armani to the Hollywood premiere of The Hobbit: The Desolation of Smaug at Grauman’s Chinese Theatre. The pair impressed in sartorial looks from Armani, donning three-piece suits. 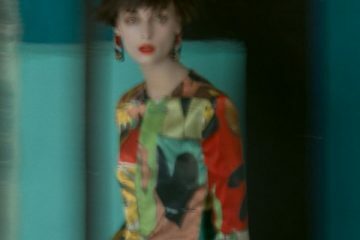 While Evans wore a gray and blue tartan look, Bennett opted for classic black.